Want to make some cute little flowers as embellishments for your sewing projects? 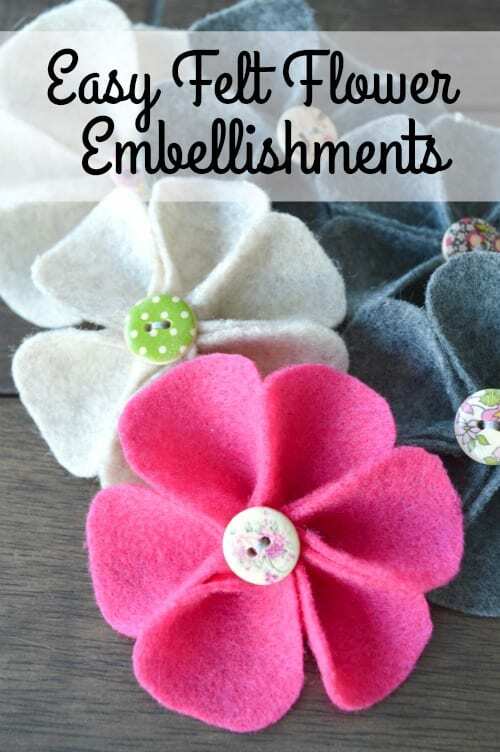 Make these little Felt Flower embellishments. They are really simple to make and only take about 10 minutes. You could use these to decorate a host of sewing projects or maybe some other kind of decorative piece around your home, the possibilities are endless!